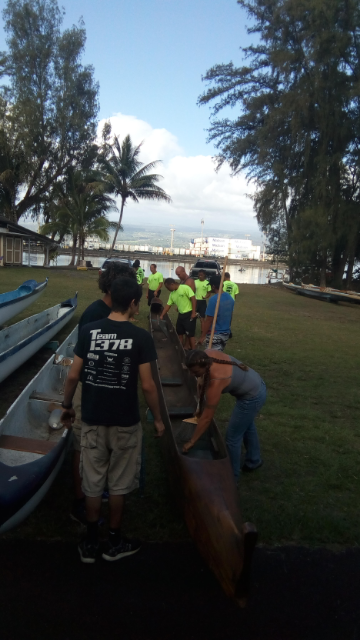 Last Saturday we had another work day down at Palekai. The Hokualaka‘i’s mast got a good sanding and a coat of sealer. The paddling canoes got some needed attention and some new storage racks were setup in the container. 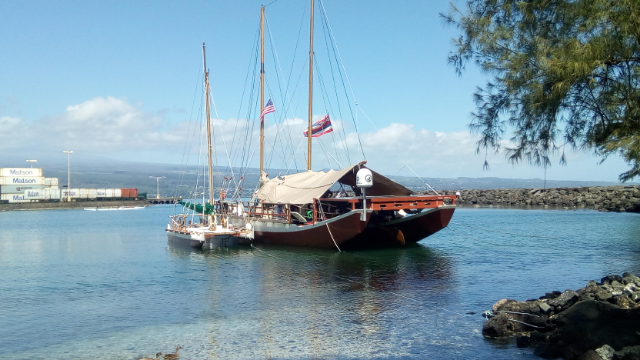 Having the Hikianalia in the bay inspired all of us to keep working on the Hokualaka‘i’ and get her back in the water this year!